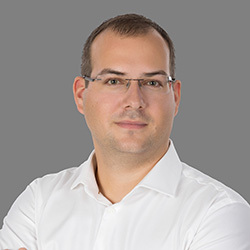 Daniel Marinkovic is an expert in IP Video and Analytic projects. He has a strong background in information technology and several years of experience in the video surveillance industry. With his focus on IoT and Big Data, he started to use existing security cameras for analytics in such areas as footfall counting and heatmaps. Today, he is at Vizualize, where he is responsible for the European retail market, developing new partners and driving projects to success. Marinkovic understands customer needs and turns them into a working solution.